Etiology: Trichophyton mentagrophytes is the most common isolate. Microsporum canis is occasionally recovered. Public Health Significance: Rabbits may transmit the disease to humans. 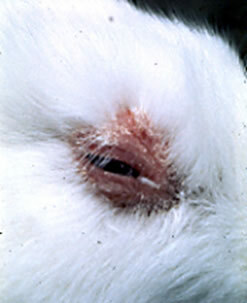 Please see rabbit Parasitic Diseases for more detailed information.